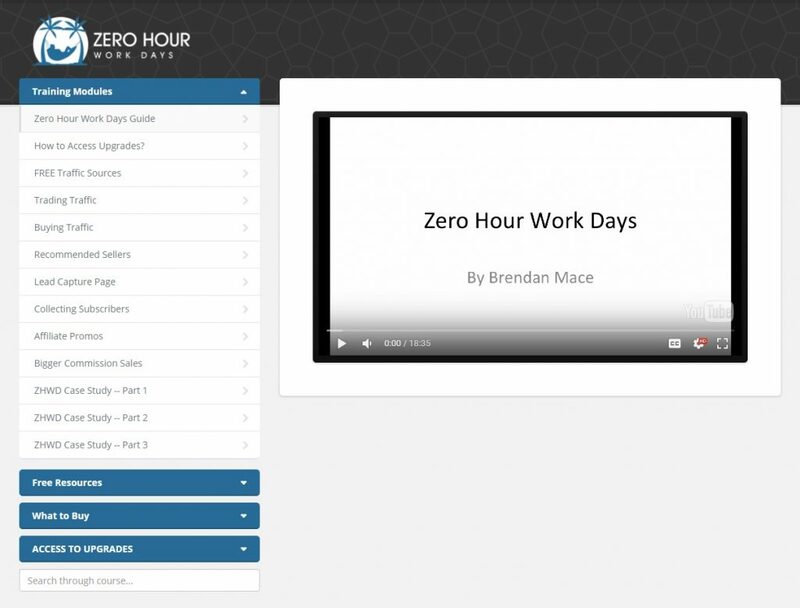 This is my honest review of Brendan Mace’s digital product Zero Hour Work Days. Brendan has been in the internet marketing space for many years now but this is the first digital product he’s ever released. It’s important to mention that unlike a lot of other people out there that have reviewed Zero Hour Work Days, I’m not doing so with the sole intent of funneling traffic to some other offer I’m an affiliate for that I claim is “better”. I am an affiliate for just about all of the products I review, I don’t have an ulterior motive, and most of the time I have purchased and gone through the whole course before writing about it. This is a 100% honest review, something that’s not easy to come by these days. Bonuses: I’ve put together a package of three awesome bonuses that I think complement Zero Hour Work Days at least to some degree. 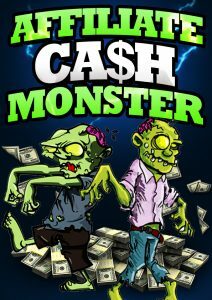 You’ll get these bonuses absolutely free if you decide to grab Zero Hour Work Days through my link on this page. Be sure to scroll down to the bottom of the review to get a description of each of them! Summary: Zero Hour Work Days is a quality info product packed with a good amount of value and information for the price. 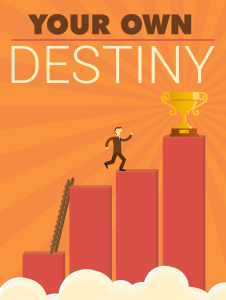 The product includes a lot of free resources and bonuses that are actually quite useful. The method that Brendan teaches in the course is meant for the long-term. With that being said, I wish Brendan would have gone more in depth about how to use ClickMagick and how to sell solo ad traffic specifically for this application; tracking is important and unfortunately he sort of glossed over it. I also thought he went a little overboard pushing his 1-on-1 coaching which is over $800. What is Zero Hour Work Days about? Brendan has also included a 3-part case study where he takes people through a funnel he created during the launch of Zero Hour Work Days. What is the structure of Zero Hour Work Days? Upsell 1 ($37 with downsell of $17) – 40 of Brendan’s high-converting email campaigns (less than $0.99 each). If you’re not comfortable writing promotional emails or you aren’t confident they’d convert, this is an option to consider. Even if you don’t actually use the emails yourself, you can study and model your own emails after them. Upsell 2 ($67 with downsell of $37) – A high-converting landing page (opt-in rate of at least 50%) as well as a free installation of the landing page software WP Profit Builder on your website. I didn’t get this upsell and I really wouldn’t recommend it. It’s not hard to create a high-converting landing page; I had no problem creating my own with opt-in rates of around 50% right off the bat, and also, I make my landing pages for free with my email autoresponder service Sendlane. Upsell 3 ($897 with downsell of $197) – direct 1-on-1 coaching with Brendan. He takes you by the hand step by step, sharing everything he knows with you including advanced techniques and strategies related to email marketing and more. This is for people who are serious about making money online and willing to make the investment. I’m not going to say whether or not it’s worth it because it can depend on the individual, and also, I haven’t been coached by Brendan myself. I’m inclined to believe though that it is a worthwhile investment based on what I know about Brendan. This is entirely up to you. I would normally charge for these value-packed bonuses (particularly the third one, which is a full course), but you’ll be able to get all of them absolutely free if you grab Zero Hour Work Days through my link. I know a lot of people will get it just for the bonuses, even though Zero Hour Work Days is an excellent product on its own. To make room on my file hosting service and hard drive, I typically will remove bonuses associated with my links for products that have been out for a while. As you read this, there’s a chance that the bonuses may not be there any longer; get it now and don’t miss out! Is Zero Hour Work Days a scam? Far from it. I definitely recommend picking this up and going through the content. If nothing else, you should buy the front end product for less than $10 and get the wealth of valuable info (including bonuses) that Brendan has in the members area. Building an email list is hugely important when making money online, and Zero Hour Work Days teaches you one of the best ways to do it. An email list effectively allows you to send traffic wherever you want whenever you want and make money on demand. 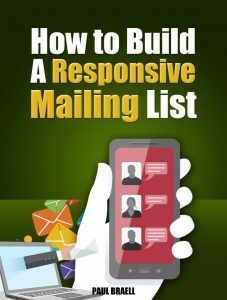 In my opinion, every online marketer in the make money online space should be investing in building an email list. If you follow Brendan’s training and create emails that can convert, you WILL make money. I hope you found my review of Zero Hour Work Days informative and helpful. See my summary and rating of the product below. If you have any questions, feedback or comments, feel free to leave them in the comment section! Next 10X Commissions Review + Bonus – $10000 Per Month in Your Spare Time?